A proof-of-concept born from a game jam. 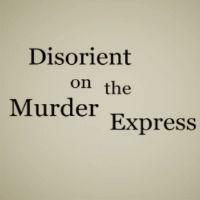 You play a washed-up detective on board a train with a few colorful characters, one of whom is shortly murdered. After inspecting the crime scene and available clues, you gather the suspects to solve the mystery. Here’s where the game’s unique mechanic comes into play - by clicking any two pieces of evidence (including the murder victim and each suspect) your character will explain their logical connection. When you’re done, you then render your accusation, which will vary depending on which logical connections you’ve drawn. It’s a neat idea, allowing the player to create the dramatic reveal of the crime’s solution. The game’s small scale makes it pretty easy to hold all the pieces in mind without needing to take any notes or have any UI elements for tracking them. You can’t be very precise or specific with your logical connections or choose your accusation, but events are simple enough that none of the things your character says are likely to surprise you, and even if they do it’s not likely to frustrate due to the fact that it’s clearly not meant to be taken seriously - the game has a darkly-comic tone and exaggerated one-dimensional characters. Exposition and dialog is unfortunately a bit verbose and are presented as walls of text that interrupt play. Trimming down the text and finding a less obtrusive way to display it would have helped. All in all, it’s a cute demonstration of a system that has a lot of potential. Easily worth the fifteen minutes or so it takes to play. I Stopped Playing When: I finished the game once.